Ours is a research based organization working with Government Authorities and NGOs and private companies on projects related to Development planning and Environmental conservation. We are a team of Architects, Planners and Landscape designers and students, working together with experts from various disciplines and Institutions to conduct research and further provide solutions. We also collaborate with a wide range of partners in consultancy organizations, nationally and internationally and our service is integrated through a team approach to project work. 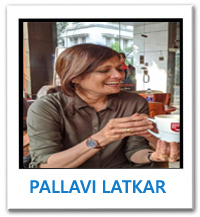 Pallavi Latkar is an Architect, Town Planner, Landscape designer and an inspired ecologist. She grew up in Nairobi Kenya and later as her family returned to India she acquired her training in Architecture and Planning and Landscape designing from the University of Pune. During her tenure as Assistant Professor in Mumbai she received the Swedish International Scholarship for Sustainable Development for her research work on the Impact of development on Environment and Water bodies. She is the founder of this Environmental Planning Research organization "GRASSROOTS Research and Consultancy" through which she is spearheading research and practice towards Spatially Integrated Planning methodologies; with projects spanning across various parts of Maharashtra ,Punjab ,Himachal and Uttaranchal. Currently involved in research in Urban and Regional planning with a focus on Environmental issues particularly focusing on the urban hydrology and is working on Thana, Nagpur, Mumbai and Matheran cities as projects with the State authorities. She has presented papers at various national and International conferences. Her association with Rachana Sansad Institute for Architecture and Planning brings together students from various faculties for inspiring workshops, seminars and live studio projects encouraging discourses’ and innovation. 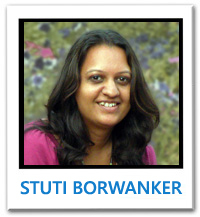 Stuti is an Environmental Architect and holds a master's degree in Environmental Architecture. She has also completed a course in Advanced Computer Arts. Her interests lie in designing; from graphics to interiors to architecture and city planning. She is deeply concerned with issues related to environmental planning and development and is one of the founding members of Grass Roots. She has also worked on independent interior design projects and on green architectural projects. 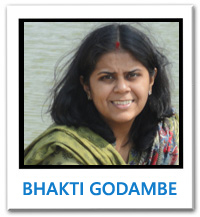 Bhakti is an architect with a Masters degree in Project/ Construction Management. She also holds a Diploma in Multimedia Creations. She has been involved with Grass Roots right from its inception with intense involvement in conceptualizing, designing and project implementation. Along with environmental projects, she is also independently working on Interior Designing and Graphic Designing. With an analytical approach and a team spirit, she is one of the most dedicated members of the group. 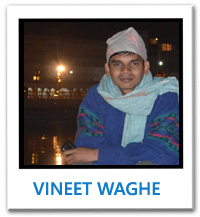 Vinit is a civil engineer with an avid interest in the field of ecology. He has completed his Diploma in Natural Resource Management and Conservation and a certificate course in Geography. He is also a GIS analyst having worked in the field with various companies before becoming an integral part of Grassroots. His interests lie in trekking, travelling, reading and writing and is he one of the most enthusiastic and energetic member of the team. 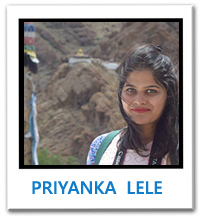 Priyanka graduated from Rizvi College of Architecture, Bandra and thereafter completed her Master's in Architectural Conservation from the University of Edinburgh, Scotland. Her love for landscape, sensitive spaces and climate oriented has brought her back to Grassroots post her Master's also. She has been involved in projects of different scales since 2012. Contemporary yet Indian her love for details in conservation and landscape fits perfectly for Grassroots context. Her travel escapades have made her imbibe diverse cultural values exploring cities, vernacular people and traditions and variety of food! A quite and level headed person, she wont hesitate her mind freely at times. Sketching helps her explore and resolve designs swiftly. Doodling, painting she plans to build a brand of her own! 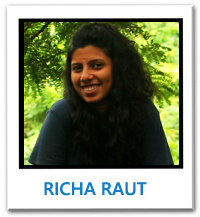 Richa graduated from Academy of Architecture, Mumbai and currently pursuing her Master's degree in Architecture (by Research and partly by papers) from J.J School of Architecture. She has also pursued an E-course in Environmental and Sustainable Development. A passionate and dedicated professor at Academy of Architecture, she also inspires her students to adopt Environmental methodologies. She has been involved with Grass Roots since the past four years enthusiastically involved in all the projects. She also takes up Interior Designing projects and Graphic design. Her calm, cheerful and easy to approach attitude enables her to collaborate easily with her associates engaging with different teams. A post card collector she plans to travel miles in the near future! Traveller, an avid reader, she is one of the spontaneous and chirpy member she constantly inspires and quirks up the environment in office.